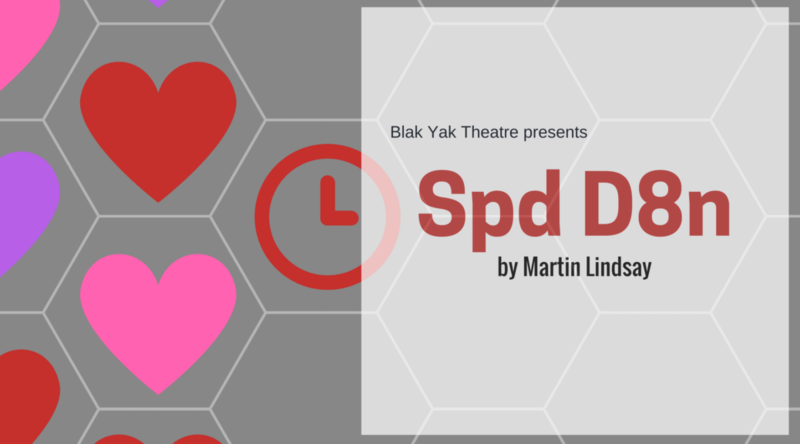 Spd D8n | Blakyak Community Theatre co.
Blak Yak theatre is proud to present a new, locally written work, Spd D8n by Martin Lindsay. Directed by Therese Cruise, the play in two acts follows a night of speed dating at a local pub, with humourous results! The show provides a light hearted take on modern dating, and is sure to be a crowd pleaser. and 7pm Sunday 6 August.